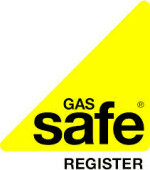 We are experienced Gas Safe Registered Engineers, we specialise in the installation and repair of all makes and models of domestic Gas fired Central Heating Boilers. We offer a variety of services to cater for your plumbing and central heating needs, including; boiler repair, boiler replacement, boiler installation, emergency boiler repair London, Landlord Gas Safety Certificates, plumbing & 24 Emergency Plumbing. All our Gas Safe Engineers are Viessmann, Baxi-Main-Potterton, Worcester Bosch, Vaillant & Glow Worm and Ideal Trained and accredited installers. With one hour response time and no call out charge, you can rest assured that when you need help, our Emergency Gas Safe Engineers are there to assist 24 hour a day 365 days a year. 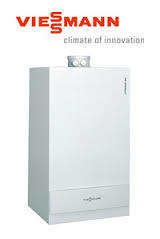 A boiler service will cost £85 in VAT as a fixed rate. 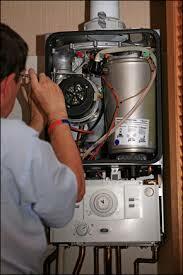 The cost of a boiler repair will obviously depend on the fault, we aim to fix our charge at £85 in VAT. Parts are charged at cost. We are experienced, knowledgeable and fully qualified Gas & Heating engineers to carry out boiler replacements and new boiler installations in London. All our boiler engineers are approved, accredited & trained by the main major gas boiler manufacturers Vaillant/GlowWorm, Viessmann, Baxi, Main, Alpha and Worcester Bosch, this is beside being Gas Safe registered & approved G3 Unvented hot water system engineers. Our Gas and Central Heating engineers undertake all types of boiler and central heating installations, servicing, and repairs. We are experienced in diagnosing boiler problems, we carry with us parts for most domestic boilers and we have a great deal of experience of fixing all manufactures such as Vaillant, Glow worm, Viessmann, Worcester Bosch, Potterton, Ariston, Ideal, Biasi, Baxi. We tackle all emergency plumbing & heating work and aim to arrive within the hour no matter where you are in London. PCH Boiler Repairs provides 24/7 genuine around the clock rapid response for gas & heating emergencies. Whether you are existing, or are a potential new customer, our commitment is to manage your emergency as quickly as possible.